In a way, she’s right. What’s the point of having so much power on hand if, for domestic reasons, you will rarely, if ever, use it? This is not too different from a question that good, thoughtful citizens sometimes ask their brethren who choose to drive high-powered luxury sedans. “Goes to 150mph, eh? Last I checked, the speed limit around these parts is 55.” And so the critics of powerful cars get it wrong for the same reason some people think big, powerful amplifiers are a waste of money and resources (and energy, about which more later). In either case it’s not about extremes, whether of speed or of decibels, but rather the increased performance that is experienced even in normal, ho-hum, everyday operation. Keeping to our automobile analogy, it is no longer a question of whether two different cars can get to 30mph -- most do that easily enough. The difference lies in how they get to 30mph. Is it with a sense of ease and purposefulness, smoothly and quietly? Or is the journey, however leisurely, accompanied by resistance, vibration, and noise? Power can be used, abused, and vilified, but it can’t be ignored. So if I don’t need to shake the rafters to clearly hear what a good 200Wpc amplifier can do best, what do I hear that’s such an improvement? In a word: bass. 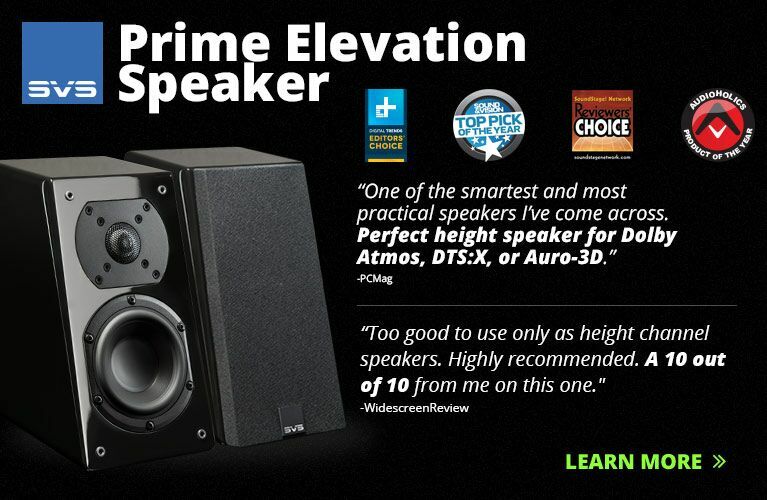 Bass that’s as tight, well-controlled, pitch-perfect, and accurate as I can expect from the speaker I’m listening to. Why? 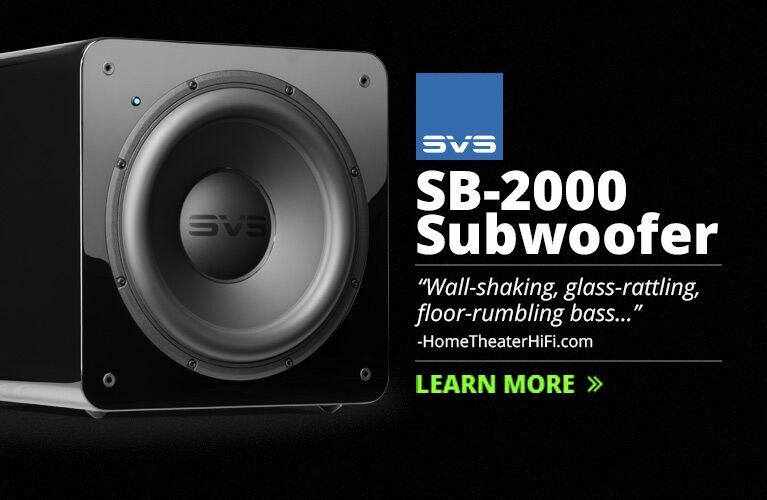 Because power implies current (especially from transistors), and woofers love current. Remember my Totem Model 1 speakers? They were demoed using a good but not great amp that could put out 200W into 8 ohms. Took them home to meet the 100Wpc Accuphase I had for a while. Nice match, but nothing like the startling (and surprising) bass extension and control that I heard at the dealer, and for which the tiny Totems are justifiably famous. If you want to know what your speakers can really do, hook ’em up to a good, powerful amp. Do this especially if you’re thinking about a new set of speakers. 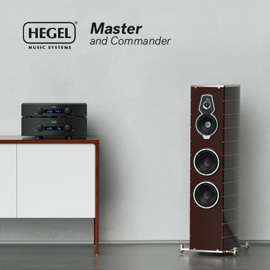 In fact, a good dose of current from Musical Fidelity’s M6i may be just what your woofers need. Musical Fidelity’s M6 series sits only a rung below the company’s all-out assault on the state of the art: its Titan power amplifiers and AMS series of class-A components. As of this writing, the M6 series includes a CD player, a preamplifier, and a 260Wpc power amp. While low on the bling charts, the casework of these components is handsome and of very high quality. And thick! From top plate to bottom, there’s nothing flimsy about the M6i. At 37 pounds, the amp is heavy for its size (17.33”W x 5”H x 15.75"D), and that beefy casework is reassuring. The build quality of my sample was exquisite. The M6 shares its basic external design with both the AMS and the lower-priced M3 series. (One wonders whether MF will offer a matching preamplifier to the, for now, uniquely styled Titan power amps.) Finished in black-anodized aluminum, as my sample was, the styling is a bit generic, though not unpleasant or cheap looking, but MF seems to have had a tough time establishing a distinctive “look” for its products; they remain a long way from being as instantly visually identifiable as components from McIntosh, Conrad-Johnson, or even Mark Levinson, all reasonable competitors. MF does offer a natural metal finish for the faceplate, which looks much better, at least in photos. For the last few years, MF preamps and integrateds have shared a common design element: a saucer-sized volume control. I thought that earlier iterations of this design “statement” bordered on the ridiculous, but with the M6i MF has really nailed the concept. Why shouldn’t the knob be big? There’s plenty of space for it. Also, a larger volume control is more comfortable to use, and because of the greater circumference and, therefore, greater rotational distance from stop to stop, you can dial in a volume setting more precisely. And you’ll like the feel of this knob: weighted and smooth, with just the right amount of friction. Even the stops are cushioned. Using the included remote control (which also controls MF’s matching M6 CD player/DAC), the knob moved silently, with never an overshoot. Bracketing it are two rows of pushbuttons for power, tape (!) monitor, and six input selectors. All functions (except tape monitor) are reproduced on the remote, which adds a mute button. 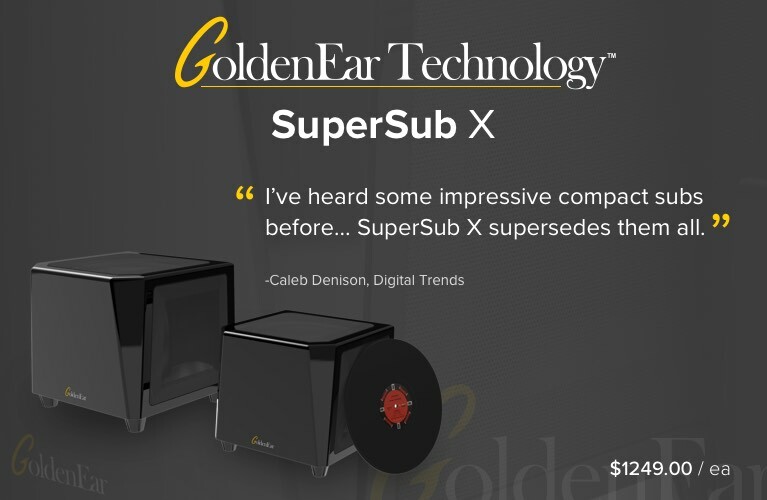 High-powered amplifiers have become somewhat of a specialty at Musical Fidelity, whose founder, chief designer, and managing director, Antony Michaelson, has for years advocated realistic playback dynamics and sound-pressure levels. Michaelson is also a fine classical clarinetist who knows a thing or two about how dynamic, loud, and simply raucous live music can be. Rated at 200Wpc into 8 ohms, the M6i is indeed powerful, especially for an integrated, but the magic is in its ability to provide the current that a speaker’s woofer longs for. A good indication of this is the M6i’s power delivery into low impedances, which doubles into 4 ohms (400W), and again into 2 ohms (800W). In fact, MF claims that the M6i can pass 45 amps peak current. It’s perhaps not an arc welder, but darn close! MF describes the M6i as “two monoblock power amps and a separate preamp, each with their own transformer windings and power supply.” Note that the preamp section is truly active, and not simply a volume control attenuating the signals sent to a high-gain power amplifier. Strangely, MF does not publish the M6i’s power THD, signal/noise, or frequency-response specifications, but does describe these figures for line input. I assume this means that the preamp’s output line-level signal is rated at <0.01% THD+N, >100dB signal/noise (A-weighted), with a frequency-response deviation of -0.1dB from 10Hz to 20kHz. Certainly nothing wrong there. With labels like Tape Monitor, the M6i has one leg firmly planted in hi-fi’s golden age, but other than that, it’s a thoroughly modern design that will accommodate just about any source component or connector interface available. On the rear panel, two pairs of five-way binding posts are widely spaced along the top of the chassis. Of the fully insulated CE-approved variety, these are easily reached from the front of the M6i. At the top right-hand corner of the rear panel is an IEC socket for the detachable power cord. Below these is the row of inputs, and here’s where it gets interesting. The M6i is “computer ready” in having a USB connection with built-in DAC. 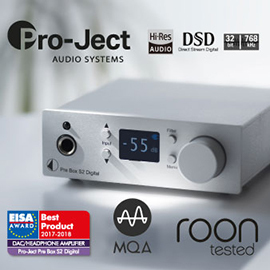 MF says that this DAC section is based on the company's V-DAC, and that “CD, MP3, WAV files played on any software should now play through the M6i.” (Of course, nowadays there are many choices of outboard USB DACs, some expensive, some not.) Next in line, from left to right, are a single pair of XLR sockets (which I did not use) and four sets of RCA inputs (which I did), one of which, labeled HT/AUX, can bypass the volume control via a rear-mounted switch. Set to HT and connected to an external audio/video processor, the M6i and associated speakers can be used for two channels (Front Left and Right, presumably) of a 5.1-channel surround system. As MF emphasizes in the well-written owner’s manual, make sure the switch is set to AUX for any source that doesn’t normally control signal level. Last but not least are ye olde tape-out jacks, and a pre-out jack for biamping or flirting with other amplifiers. There will always be those who feel they need more connectivity, and while I think the balanced jacks will be a wasted feature for many, there were enough hookup options for even an old-schooler like me. However, I do regret the lack of a headphone jack and I’ve become spoiled by the mini-plug input jack on the faceplate of my NAD. 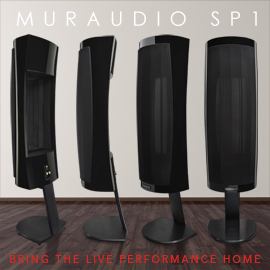 The Musical Fidelity M6i saw service with my Snell EII speakers, as well as with the recently reviewed Legacy Studio HDs and MartinLogan Motion 12s (review forthcoming). My reference integrated amplifier was the NAD C 325BEE (50Wpc into 8 ohms). Speaker cables were both double 10’ runs of home-brew, solid-core wire from RadioShack and Kimber Kable KWIK-12. Source signals were passed through Kimber PBJ interconnects, mainly from my combo of Rotel RDD-980 CD transport and Meridian 203 D/A converter. The digital link was a 2m length of Canare Digiflex Gold 75-ohm coax. All electronics were plugged into hospital-grade receptacles on a dedicated 20A circuit. My wood-framed listening room measures 15"L x 12"W x 8"H and has two large, arched openings in adjoining walls. This amp sounded good -- so good that I believe it may be the last amplifier most music lovers will ever need. I found the M6i unfailingly accurate and wonderfully resolving of recorded detail. Of course, this means that while good recordings sounded great, the dregs were now clearly dregs. Components of this caliber do not editorialize -- the M6i will give back to you precisely what you feed it. Warning: Your collection of 1980s-era CDs may not last long with this thing in the house. And with the M6i, it would not be a waste to indulge in the best source components you can afford. 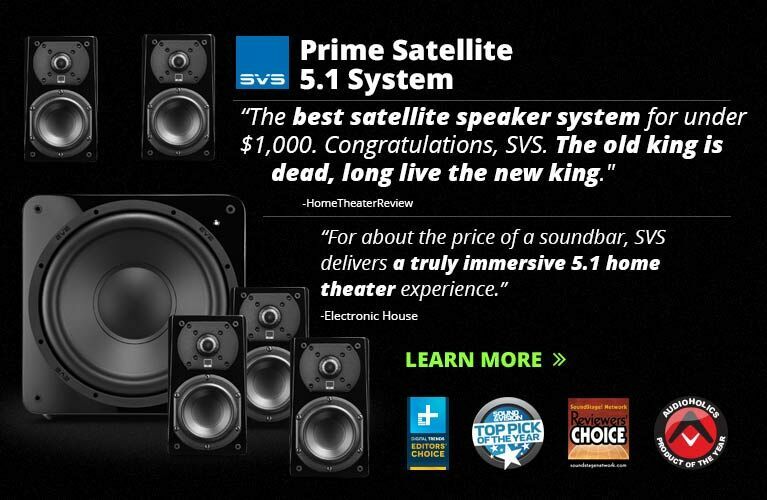 I say this not to be flippant, but to recognize that you may find new life in your speakers and save quite a bit of money by avoiding a potentially unnecessary upgrade. I’ve always enjoyed my Snells, but I never heard them go so low or image so well as they did with the M6i. The original cast recording of Wicked (CD, Decca Broadway B0001682-02) is a wonderful modern example of the genre, containing stunning dynamics and microphone work, not to mention some amazing performances. The pairing of Kristen Chenoweth and Idina Menzel was truly inspired. I’ve seen the show on Broadway, and I have to say that, played through a decent system, this recording handily surpasses the listening experience of the live show. In the opening number, “No One Mourns the Wicked,” I could easily follow the singers around the stage, forward and back, left and right. On the showstopper “The Wizard and I,” the M6i breathed a mighty wind into the deep, powerful synthesizer notes that close the number. The only “Christmas music” I play year-’round is the Vince Guaraldi Trio’s A Charlie Brown Christmas (CD, Fantasy FCD-8431-2). What a joy to hear the glorious living detail in these well-recorded tracks. I put this disc on one evening and picked up a book, expecting pleasant background music. Well, the M6i doesn’t do background music. After five minutes, the book was set aside and I was transfixed by a “new” performance from an old friend. The upright bass was no longer just there, but was being played artfully by a real human being (Fred Marshall) -- no note was played exactly the same way as any other. Another old friend heard in a new way was Bob Dylan’s Blood on the Tracks (CD, Columbia CK 33235). Listening to “Simple Twist of Fate,” I was drawn for the first time to the strumming of the guitar -- or, rather, how the guitar was being strummed. This was what the M6i was capable of doing: It conjured up the Bob Dylan of 36 years ago, propped him up in my room, and forced me to not only hear him play, but to hear how he played. On “You’re a Big Girl Now,” Dylan double-tracks his guitar, basically playing two different performances of the accompaniment simultaneously -- something I hadn’t noticed before. It was fascinating, and so intimate in effect that I didn’t even mind the flubbed notes. I thought the M6i was a superb match with the Legacy Studio HDs, but watch out! This setup plays what’s in the grooves (or the pits), and nothing else. However, Paul Jacobs’ performance of Debussy’s Preludes for Piano (CD, Nonesuch 7559-79474-2) was delicate and light, and the sound of the reverberating piano strings was gorgeous. This recording, though still lovely, can sound a little dark through the Snells, favoring the left hand over the right by a slight margin. Funny how two artists can use the same tool in totally different ways. While Paul McCartney did everything he could to bury the distinct voice of his Rickenbacker 4001, Chris Squire was the first to champion the twangy, metallic hole in the midrange sound of this electric bass, which I understand was achieved by fully utilizing the instrument’s “Rick-O-Sound” stereo pickup. Ain’t no other bass guitar on earth with this sonic signature, and it’s fully on display on Yes’s Close to the Edge (CD, Elektra B00007LTI9). This recording contains no real low end to speak of, and a lesser system could emphasize its abundant treble. The M6i played this prog-rock masterpiece with confidence; the sound was still perhaps an acquired taste, but was now less about brightness and harshness than about lightness and quickness. Finally, because I’m naturally cheap and a bit of a geek, I wanted to find out what it would mean to my utility bill to use an amplifier at least four times as powerful as the one I have. The answer? Not much. Using my handy “Kill-O-Watt” meter, I read about 48W, whether the M6i was idling or working at normal to exuberant listening levels. This is slightly worse than the NAD, which consumes 37W. However -- the NAD is normally left in standby mode (its power switch is on the back), which consumes 18W all the time, while the M6i is intended to be shut down completely after use. It costs me less to run the more powerful amplifier. Going into this review, I was a little prejudiced against the M6i for its lack of what I’d thought were such basic necessities as a balance control, a headphone jack, a mono switch (yeah, right! ), an iPod interface, etc. But here’s the deal: If it takes paring down to get this astonishing level of performance, well then, I’ll just have to live with it. Musical Fidelity and Antony Michaelson promised -- and have delivered -- an amplifier based on the design brief that less is more (except, of course, in the area of power). Michaelson does not strike me as dogmatic. He uses tubes, when and where appropriate. He builds amps of very high and low powers. He does what he must in service to the sound. And, for the record (so to speak), when playing vinyl, not once was I tempted to tweak the phantom balance control! Warranty: Five years parts and labor (with return of registration card).